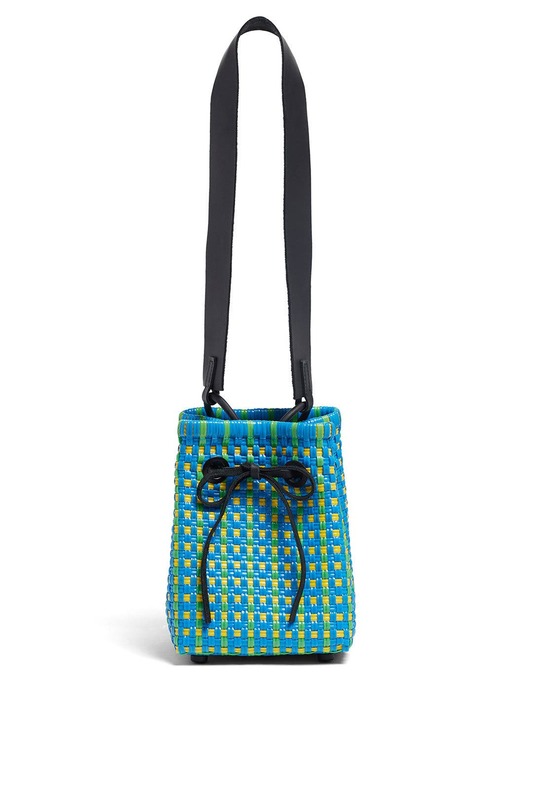 Soft woven plastic and a thick leather strap bring a modern upgrade to this trend-right Truss bucket bag. 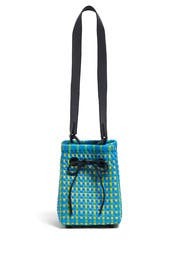 Colorful woven plastic bucket with leather top handle strap. Drawstring closure and 12" strap drop. 5.9"H x 8.3"L x 5.9"D.